Trident University International’s diverse set of adult learners has made indelible marks in the classroom and in professional life. ‘Faces of Trident’ is an opportunity to highlight some of the accomplishments from the University’s students and alumni. Following in his father’s footsteps, Julius C. Wiseman (Master of Business Administration, Trident Class of ’11) enlisted in the United States Navy in 2002 at age of 17. Early on in his career he was part of the Navy’s Ceremonial Guard in Washington, DC, before spending time as an Operations Specialist in Pearl Harbor, a Detainee Guard in Guantanamo Bay, Cuba, and at Naval Medical Logistics Command in Fort Detrick, MD. It was in this posting that he was named the Junior Sailor of the Year in 2010 and 2011. In addition to the MBA degree, he also earned a Bachelor of Science in Business Administration degree from Trident and a Master of Professional Studies in Political Management degree from The George Washington University. He currently serves as an Ensign (select) in the Medical Service Corps. Dr. Angie Cox (Ph.D. in Business Administration, Trident Class of ’16) will be presenting a paper at the 2016 ACM SIGMIS Doctoral Consortium in June 2016 in Washington, DC. The ACM Special Interest Group (SIG) on Management Information Systems (MIS) promotes best-practice and research in the management of information systems and technologies in management commerce. As part of this, ACM SIGMIS has worked closely with the academic and practitioner communities for over 50 years in order to understand and further the latest ideas and concepts in information technology. Command Sgt. Maj. (Retired) Tedd “Joe” Pritchard (Master of Science in Information Technology Management, Trident Class of ’07) was recently hired as the Executive Director of the Armed Services YMCA at Fort Bliss in El Paso, TX. The Armed Services YMCA is focused on providing services, programs, and support to service members and their families from all branches. Pritchard most recently served as deputy commandant at the U.S. Army Sergeants Major Academy from October 2013 to October 2015. He served in the Army for 29 years before retiring in January 2016. Dr. Peter Mangles (Ph.D. in Business Administration, Trident Class of ’15) recently authored a paper entitled “Perceived Isolation, Its Impact on Professional Deviance and Deviant Workplace Behaviors,” which has been accepted for presentation at the Academy of Management (AOM) Conference. This paper, which is based on Dr. Mangles doctoral dissertation, is scheduled to be presented at the AOM Conference in Anaheim in August 2016. In September 2015 Rodney “Chip” Tansill (Master of Arts in Education, Trident Class of ’11) was appointed Director for the Ohio Department of Veteran Services by Governor and current presidential candidate John Kasich. Tansill is a veteran of the United States Army, retiring in 2015 as the Chief of Staff for the Ohio National Guard. His military career began in 1982 with the Army Reserve. He served in the Persian Gulf in the early ‘90s, receiving several major decorations, including the Bronze Star and Legion of Merit. Previously he served as Executive Director of the Franklin County (Ohio) Veterans Services Commission. For any media inquiries, please contact Daniel Sloan at daniel.sloan(at)trident(dot)edu. 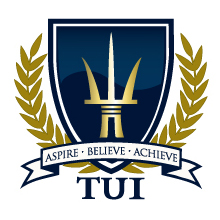 Founded in 1998, Trident University International (Trident) is a leading online postsecondary university serving adult learners. Trident developed the Trident Learning Model, which employs case-based learning in an online setting to teach real-world relevant critical thinking skills to enhance the lives and careers of students. Trident offers high-quality bachelors, masters, and doctoral degree programs, led by a qualified faculty team, over 80% of who have doctoral degrees. Visit http://www.trident.edu, Trident’s Facebook page, or call at (855) 290-0290 to learn more about Trident's wide range of bachelor's, master's, and doctoral programs.